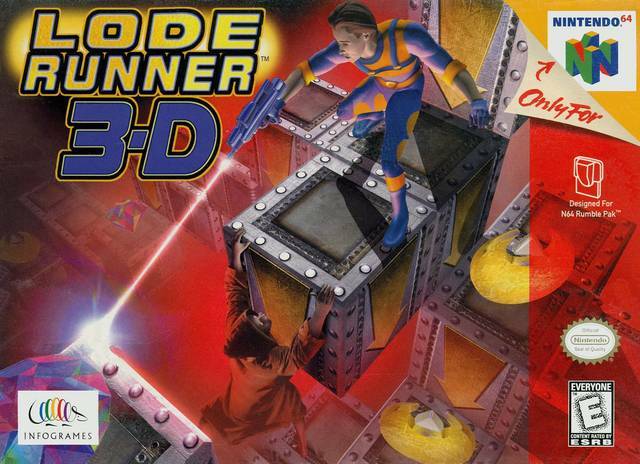 Lode Runner 3D for Nintendo 64 has you taking control of a covert operative intent on infiltrating an enemy ship by breaching its inner defense. Your quest will span 136 levels and 20 bonus stages across five distinct worlds. For 1 Player.